A legend, reimagined. The Fender American Performer Stratocaster RW gives you all of the classic Strat feel in a model that produces upgraded, 21st century sound. Yosemite single-coil pickups give you raw, bright sound that sounds beautifully clear at even the highest outputs. 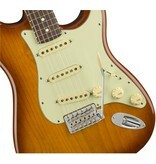 It's this electronic system that makes the American Performer Strat ideal for the live musician. That's far from all that this incredible guitar offers, though. 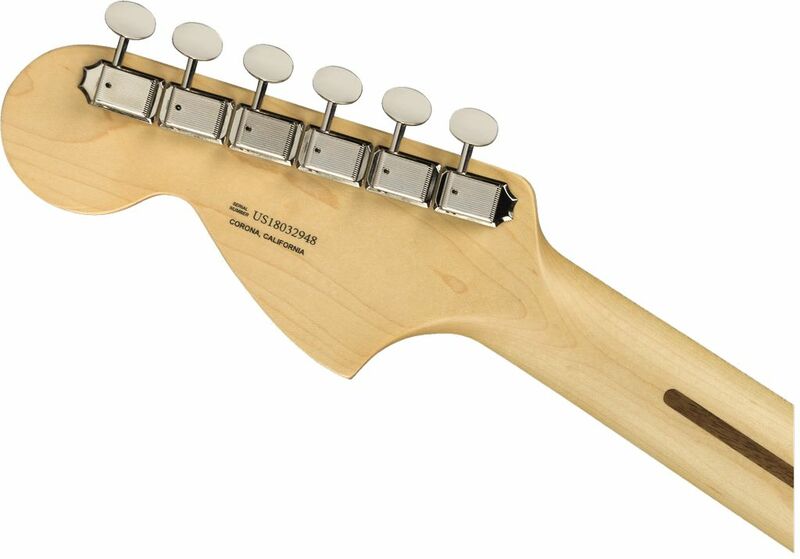 Experience amazingly natural playing comfort thanks to a "C"-shaped neck that eliminates cramp. Experiment endlessly to create a unique voice using a tremolo bridge. And enjoy it all in a model with gorgeous, vintage style. This really is special. Don't miss out. Craft your own distinctive voice. 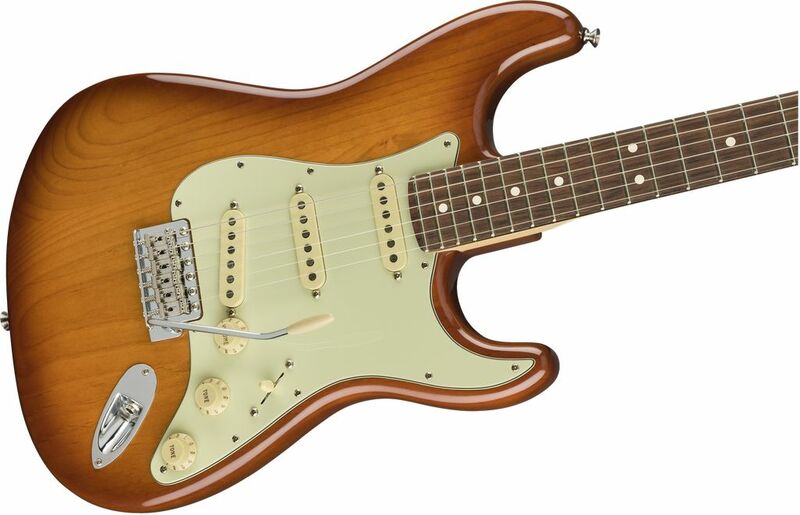 The American Performer Strat comes equipped with a Fender Vintage-Style Synchronised Tremolo bridge. This allows you to experiment with the legendary tremolo effect in your music. You'll easily be able to inject a unique edge into your solos using the guitar's whammy bar. Create a sound that's entirely your own. Incredible tone. A trio of Yosemite single-coil pickups is expertly tailored to give you wide-reaching, all-encompassing sound that's ready for both the stage and the studio. They maintain the rawness of the classic single-coil sound, giving you the iconic Strat rock 'n' roll tones that have been heard in rock music for decades. That's not all. 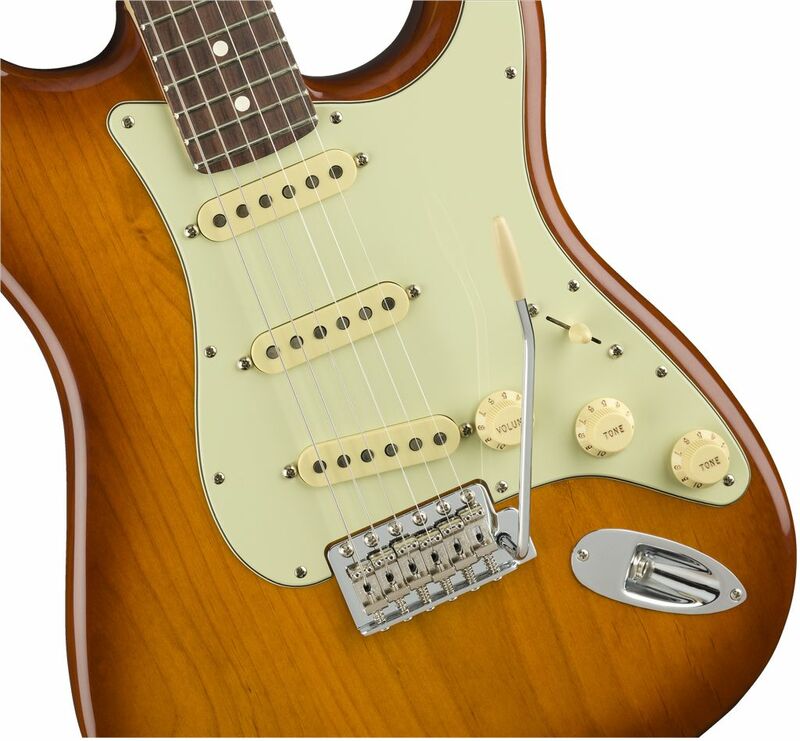 These modern pickups have been developed to deliver vintage Strat sound with none of the hum or noise that single-coil pickups often suffer from. You can play at the very highest outputs thanks to volume-increasing flat-staggered pole pieces. Ideal for performance in even the largest venues. Clarity is retained flawlessly thanks to feedback-eliminating shellac coating. You'll gain total control over your overall sound, too. A 5-way pickup switch allows you to select five different pickup combinations, providing you with a plethora of soundscapes to choose from. You've never had choice like it. A guitar that you can play for hours on end. 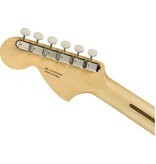 The American Performer Stratocaster's maple neck has been designed to fit naturally into the palm of your hand. Thanks to this, the instrument will feel extremely comfortable when you're holding it. All-conquering range. 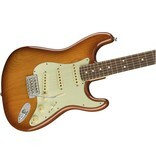 You'll never be limited in your style of play by the American Performer Strat. That's because Fender have constructed this guitar with a stunning blend of premium tonewoods, giving you an amazing, extensive tonal range. 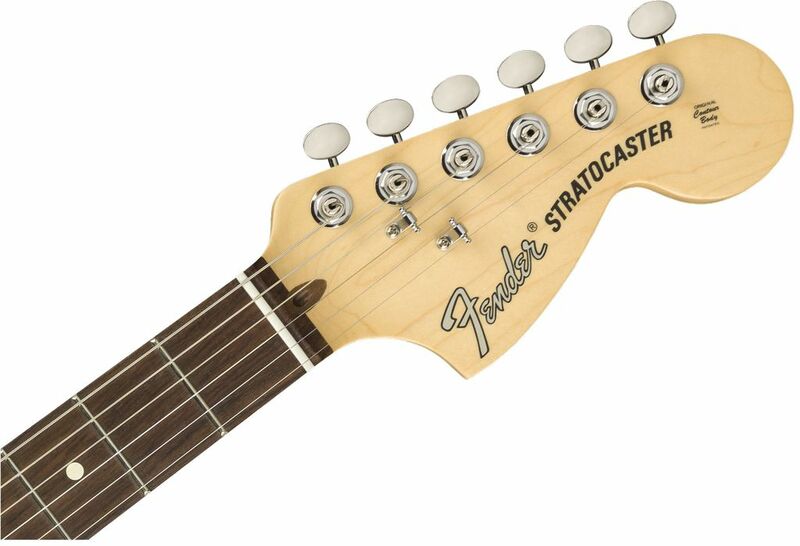 Brightness and sharpness in each note is added by the Strat's maple neck. 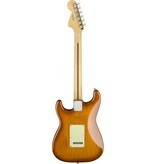 And you'll have access to beautiful warmth and richness in tone courtesy of a rosewood fingerboard. It's this that will make open chord playing sound beautifully natural. This is a tonal palette that will never restrict you. An icon. 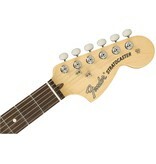 The Stratocaster has deservedly earned its place in the annals of musical history. Its legendary status has ensured it an enduring reputation in the music world. It's true that the Strat has always been renowned for delivering powerful rock 'n' roll sound the likes of which no other guitar can compete with. But it's not just so popular because of its superb sound. It's also irresistibly cool. 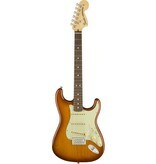 The classic Strat aesthetic has been brought into this model with a striking honey burst finish. Aged white control knobs add an extra vintage touch. This is style that will leave others enviously gazing at this quite remarkable instrument. Rock 'n' roll sound and style to take anywhere and everywhere. The Fender American Performer Stratocaster comes with a deluxe gig bag at no extra cost. Protecting your guitar from scratches and scrapes on the move, it'll make transporting your Strat from gig to gig simple.